Smartphones are conquering the mobile phone market; they are not just phones; they also act as media players, gaming consoles, personal calendars, storage, etc. They are portable computers with fewer computing capabilities than personal computers. However, unlike personal computers, users can carry their smartphone with them at all times. The ubiquity of mobile phones and their computing capabilities provide an opportunity of using them as a life-logging device. Life-logs (personal e-memories) are used to record users’ daily life events and assist them in memory augmentation. In a more technical sense, life-logs sense and store users’ contextual information from their environment through sensors, which are core components of life-logs. Spatio-temporal aggregation of sensor information can be mapped to users’ life events. We propose UbiqLog, a lightweight, configurable, and extendable life-log framework, which uses mobile phone as a device for life logging. The proposed framework extends previous research in this field, which investigated mobile phones as life-log tool through continuous sensing. Its openness in terms of sensor configuration allows developers to create flexible, multipurpose life-log tools. 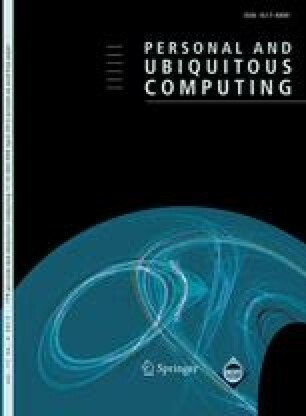 In addition to that, this framework contains a data model and an architecture, which can be used as reference model for further life-log development, including its extension to other devices, such as ebook readers, T.V.s, etc. We would like to thank all students who helped us in developing this platform, including Victor Andrei Gugonatu and Soheil Khosravipour.